It was Venice that offered the first image of the tourist city playing host to innumerable pigeons, and just as in Trafalgar Square, London, Venetians are a bit sentimental about these birds in St Mark’s. You’ll never see pigeon on a Venetian menu even though 25 miles away they’re a local specialty. Some cafes throw crumbs to the lame or one-legged ones, but this sentimentality is only superficial. Early in the morning near the entrance to the Museo Correr the silent trapping ritual takes place. 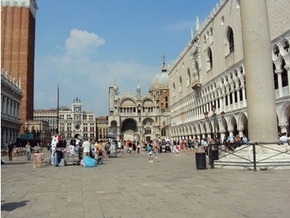 Several men hold a large net and walk across St Mark’s Square shepherding the birds under the arches at the far end. Here they fly straight into another net which is quickly covered with an enormous black cloth, so that in the dark they become silent. The cloth and its contents are gathered up and put on a large trolley to be pulled away to where the birds are presumably dispatched. Nobody talks about the pigeon cull, but if you ask the officials, they will tell you that they check for diseased birds and release the healthy ones. However, that’s a line for tourists. They are all killed. Most people don’t realize it, but pigeons actually smell terrible. That’s because they build their nests with their own excrement. Of course the narrow sunless alleyways of Venice are not ideal places for stinking nests to be built. And because they are so well fed, the pigeons reproduce at the rate of seven or eight times a year, two eggs at a time. (In London, pigeons reproduce only once a year.) Naturally, something has to be done. Over the years the Venetians have tried all sorts of methods to reduce the pigeon population. They tried mixing their food with birth control chemicals, but the population inexplicably increased. They tried importing birds of prey, but each falcon only killed one pigeon a day, and their droppings were even worse than the pigeons’. Animal rights sympathizers have suggested that the pigeons should be castrated, but the cost would be prohibitive. You might think that banning the sale of pigeon food in Venice might be a long-term solution, but the authorities are reluctant to take such a measure because, they say, it might discourage the tourists who enjoy feeding the pigeons. And there are the vendors to consider. How would they otherwise make a living, or pay for their hugely expensive licenses which benefit the city’s coffers? Not many tourists realize that pigeons can only be fed in St. Mark’s Square, and nowhere else in Venice. To be caught even a few steps outside the piazza will incur a hefty fine. Just 40 miles from Venice and 21 miles from Marco Polo airport lies an impressive McArthurGlen Designer Outlet and a hidden treat for savvy shoppers. From afar, Veneto Designer Outlet and its towering Venetian style architecture and elaborate palazzos could be mistaken for a mini Venice or Treviso. However, on closer inspection, visitors will actually find a stylish and spacious setting for 85 designer brands offering up to 70% off. Compared to the prices in the boutiques found in nearby Venice, there are bargains to be enjoyed on womenswear, menswear, sportswear, accessories and luxury home furnishings. Venice is a city renowned for designer names and designer prices but this little Venice offers a very affordable alternative to the shopping found in the San Marco area. It may not have the canals but it does boast its very own gondola. Opened in 2008, it is the fourth McArthur Glen outlet to be opened in Italy. With 140 stores, some of the designer labels found here include: Armani, Bottega Veneta, Burberry, Fendi, Ferragamo, Jill Sander, La Perla, Prada, Valentino and Versace. For sportswear, labels include Billabong, Nike and Quiksilver. 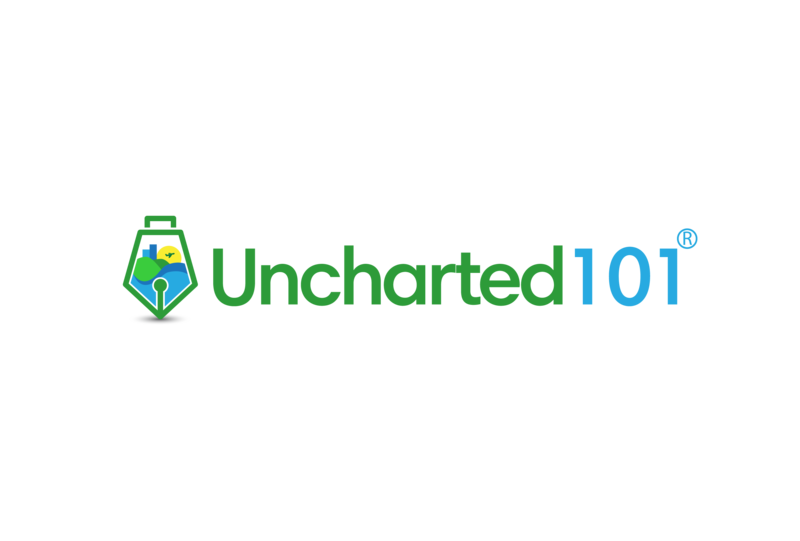 And, if there’s simply too much choice, customers can recruit the help of a personal shopper from €70 per hour. Booking in advance is necessary. There is a choice of three restaurants. A private shuttle service runs from Piazzale Rome in Venice to the Veneto Designer Outlet from Monday through to Saturday. The shuttle leaves Venice between 10.30am and 3pm and departs from the outlet between 2.30pm and 6.30pm. Bookings must be made prior to 7pm on the day before you wish to visit. The service costs €35 per person and children under 4 years travel for free. Visit for further information. If you are traveling by car from Venice, take the A4 in the direction of Triests and exit at San Donà di Piave. From Trieste, take the A4 and use the same exit. There is ample free parking (2000 spaces to be specific). By train, take the Venezia/Trieste line and exit at San Donà-Jesolo station. There is also a return bus service from San Donà di Piave which runs every day. They depart from San Donà di Piave bus station from Monday to Saturday at the following times: 9am, 10.35 am, 11.35 am, 4.45 pm, 6.45 pm, 7.50 pm. On Sundays and holidays, they leave at: 2.30pm, 4.15pm, 5.45pm, 6.45pm and 7.50pm. When I mention to friends that I have sailed into Venice, known as Queen of the Seas in times past, they ask, “What’s so special about it?” My answer is that the city-state that once dominated the known world is the most romantic, enchanting place I’ve ever seen, the most poetic, with the most magical light. With its 100 or so rii (canals) and 400 bridges, Gothic and Renaissance hotels and houses, arcaded shops and galleries and the famous colonnaded pink and white marble Doge’s Palace (former home to the Doge or chief magistrate of Venice and now a museum) this dreamscape which covers only three square miles is truly one of the world’s most beautiful cities. Floating City As our ship, SeaDream I moved along the shining waters of the Adriatic Sea towards the floating city, I could see why the majestic vistas and perspectives of La Serenissima (the “most serene” republic) inspired painters such as Titian, Tintoretto, Guardi and Canaletto. Marco Polo embodied the enterprising spirit of 13th century Venice. By 1380, after defeating its rival, Genoa, Venice finally became queen of the seas among European nations. This sea-consciousness was expressed by the sybolic marriage ceremony of the doges with the Adriatic, celebrated with marvellous pomp on the beautiful gilded gondola, the Bucentaur, the state galley of the doges of Venice. 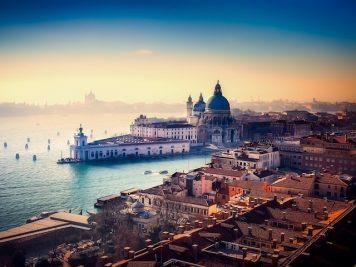 If you would like to try your hand at gondoliering, contact the Academy of Gondoliering in Venice. 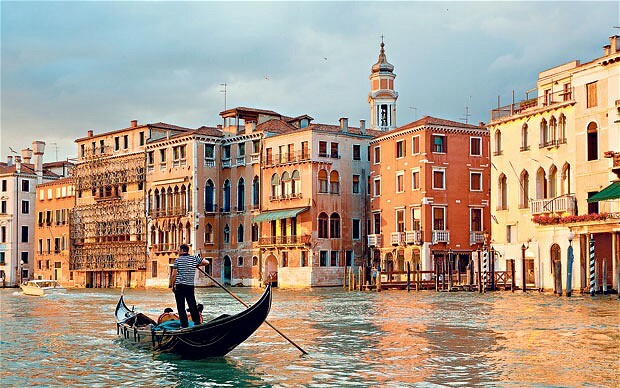 There are 400 licensed gondoliers who take passengers on rides in the famous flat-bottomed black boats. The number to call from North America is 011-(39)041529871. AS we glided along my eyes sought the colours of Venice – the Venetian reds and gold and the famous winged lion of St. Mark, the emblem of Venice which sea breezes furl and unfurl continuously on Venetian flags. Since Venice is a car-free city, the only way to get around im yhid dmsll, floating mirage is to take a waterbus or a motor-boat, known as a water taxi. 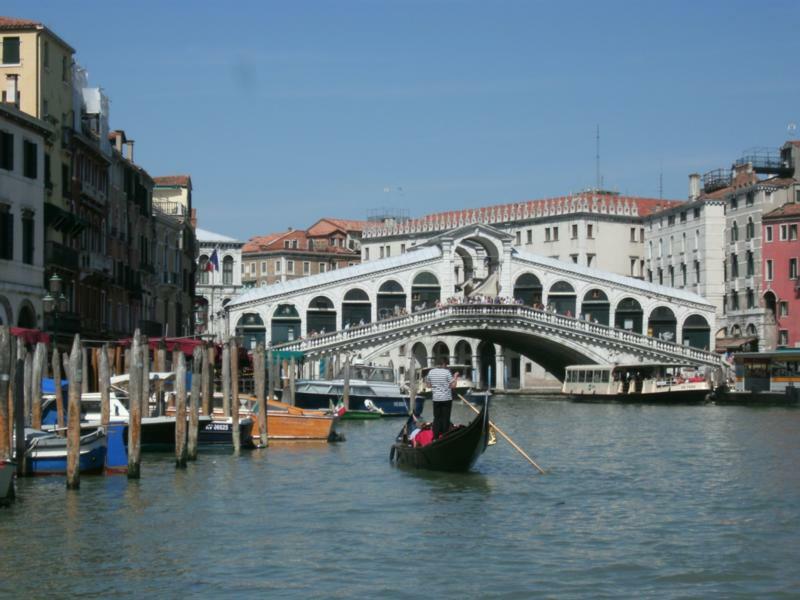 In fact, the city is built on 118 alluvial islets within a lagoon in the Gulf of Venice. 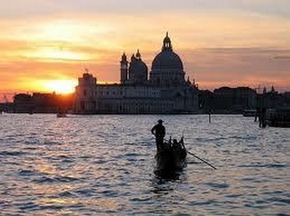 Once docked, I made my way by vaporetto (waterbus) from the pier to the first of the top sights, St. Mark’s Square. The best approach is from the Lagoon for you will feel you have stepped back into the days of Byzantium, for it was the Orient, particularly Byzantium that influenced the art and architecture of Venice.If you have a pair of opera glasses or binoculars with you, now is the time to take them out. Feast your eyes. And your ears, to the sound of music from the quartets playing at the cafes in the Piazza San Marco, and the gentle lapping of water against the sides of the palaces and houses, built on piles in the water. As the water-bus pulled up to the floating bus stop, I turned reluctantly from the superb facade and dome of the Church of Santa Maria della Salute (1631) on the other bank, took in the exquisite grouping of Palladio’s church and tower and dome on the island of San Giorgio, and then stood hypnotized by the architectural composition that is the Piazza San Marco. Lions are all over Venice: gazing from buildings, from the keystone of an arch, or atop a column. Nobody knows how many there are. Their story is amazing. In the 9th century the body of St Mark was stolen by the Venetians from Alexandria and brought to Venice, its prophesied resting place, and the beautiful byzantine Basilica was built to house his remains. The lion has always been the symbol of St Mark, and its image, winged and often holding a book or scroll, can be found all over the city. 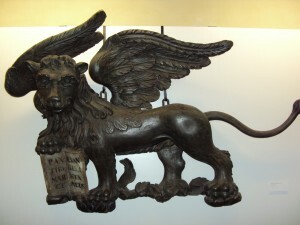 Lions, and what they represented in terms of power and strength, were so important to the Venetians that centuries ago noble families used to keep them captive in their gardens, and for a time the official state lion of Venice lived in a golden cage in Piazza San Marco. He died, probably because he licked the bars of his cage and was poisoned by the gilding. Thereafter captive lions were forbidden, but the lion image continued in paintings, carvings, tapestries and frescoes. The Venetian lion appears in two distinct forms. One is as a winged animal resting on water, to symbolise dominance over the seas, holding St. Mark’s Gospel under a front paw. You can see these mighty animals all round the Mediterranean, usually on top of a classical stone column. The other form, which is perhaps more interesting, is known as the lion “in moleca”, in the form of a crab. (Soft shell crabs are a local seasonal delicacy.) Here the lion is depicted full-faced with its wings circled around the head resembling the claws of a crustacean. It is emerging from water, so that the lion “in moleca” is associated with the lagoon and the city, whereas the standing winged lion is thought to be more associated with Venetian territory around the Mediterranean. Some lions were brought back from overseas territories as loot. (The same is also true of the remains of St. Mark himself.) There is a quartet of ancient lions outside the Arsenale, brought back from the conquest of Athens, and probably all with fantastic stories to tell as they gaze out towards the lagoon. In Venetian paintings the lion sometimes appears not as a fierce animal, but as a gentle beast, tamed by man. Pietro Longhi painted one at the carnival with a dog on his back. In the Scuola di San Giorgio, Carpaccio depicts St. Jerome calmly leading his lion into a monastery. The lion follows obediently whilst all the monks flee away in terror. Wandering around the alleyways of Venice you will probably come across the stone faces of lions set into the walls of public buildings. In Renaissance times, when Venice was an independent city-state, these mouths of truth were used as places where malicious Venetians could make an anonymous denunciation by posting a name into the lion’s mouth. Two witnesses were needed in order to bring a suspect to trial, but these were cruel times and punishments were harsh. 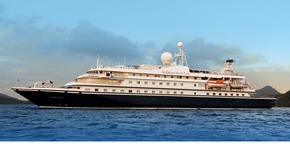 In view of the current damage the daily influx of tourists (“polluting masses” as Shelley called them) is inflicting on Venice, it wouldn’t be a bad idea to denounce a few cruise ship companies right now. Known for its abundant sunshine, palm trees, beaches and myriad celebrities; Los Angeles has become one of the top tourist destinations in the United States. Los Angeles has plenty to do and see during your stay. Getting acquainted with this vibrant sunny city is important before visiting to make your trip a memorable one avoiding unnecessary encounters. Located on the coast of Southern California, Los Angeles is the largest city in California and second largest city in the U.S. with its 9.8 million residents. Public transportation is well developed and the city has several airports. Los Angeles International Airport(LAX) is one of the busiest deserves many flights across the United States and the world. Five other airports are also located outside the city limits of the LA metropolitan area, Long Beach Airport (LGB), Burbank Airport(BUR), John Wayne Airport (SNA), Palmdale Airport and Ontario Airport (ONT). Metrolink offers transportation, while bus service is provided by Greyhound. The Metro Rail also serves L.A. and surrounding Los Angeles metropolitan areas. If you are using the public transportation, buy the day pass for the metro and buses and you would save a lot of money. Additionally, L.A. is served by an extensive network of freeways and Highways such as 101(Harbor Frwy), 405( San Diego Frwy), 1 (the legendary Pacific Costal Highway), 10 ( Santa Monica Frwy) And 105( Century Frwy) in and around the city. Los Angeles is nicknamed as the City of Angles. And is known for its warm and mild weather year round. 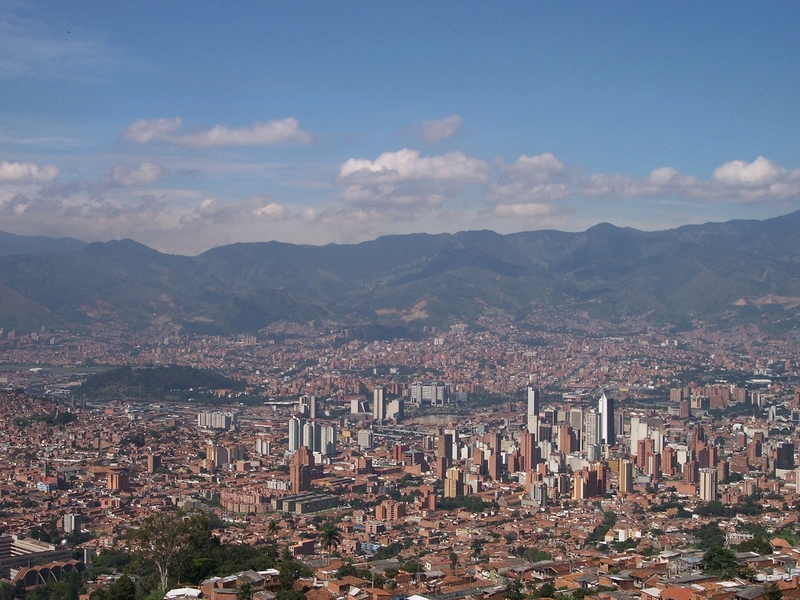 Culturally, the city is culturally very diverse with a large immigrant community, especially Latin America and Asia. It is considered the most diverse of the nation’s largest cities. Politically it is very liberal. Finally, Los Angeles like NYC is quite expensive so budget carefully and accordingly. Do not hesitate to bargain if the price is too high. Downtown Los Angeles has seen a stunning renaissance in recent years. It is the home to a number of cultural centers such as the Museum of Contemporary Art, the Japanese American National Museum, Disney Hall and the Audubon Center at Debs Park. Take a stroll through Chinatown, Olvera Street and Little Tokyo for an unforgettable international experience. Other attractions include the historic Union Station, the Fashion District, the Theater District, the Downtown Art Walk and the Los Angeles Memorial Coliseum. The mere name conjures up images of celebrities, movie studios and fame. For all its lore, Hollywood is indeed a tangible, actual neighborhood not far from Downtown L.A. Marked by the iconic HOLLYWOOD sign, visitors to Hollywood will find many landmarks and sites of interest to see. These include the Walk of Fame along Hollywood Boulevard and Vine Street, Grauman’s Chinese Theater, the Wax Museum, Griffith Park and the Griffith Park Observatory, Ripley’s Believe It Or Not, the famed Kodak Theater. If you are interested in seeing Hollywood stars homes, there are few tour operators such as Starline tours, La City Tours and Grayline tours run tours around the L.A area for reasonable prices. If you get there early, you would always be able to negotiate the price. I got a $30 off just by bargaining on one tour. Couples of blocks from there, The Universal city where you get to visit the universal studios and the universal city walk for an unforgettable experience. The city walk is free of charge. There is a $70 fee to visit the studios. 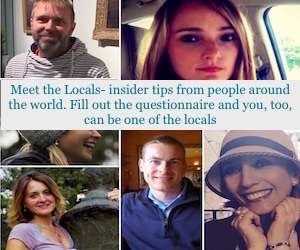 Keep an eye out for celebrities in this district, especially in its many cafes, restaurants and high end shops. Most of the entertainment studios, agencies and agents are located here. This is considered the wealthiest neighborhood in Los Angeles county, contains mansions and gated communities. It is also home to a number of cultural attractions such as the Museum of Tolerance, the Hammer Museum and the Getty Museum, known worldwide for its vast art collection and the outdoor gradens. Despite its bad reputation for gangs and poverty, South Central Los Angeles has quietly been making strides in recent years. This neighborhood plays host to a number of attractions and landmarks including the Watts Towers, the Shrine Auditorium and the Los Angeles County Museum of Natural History. Wilshire is renowned for its many cultural sites and history. This is the home to University of Southern California, founded in 1880. It borders the Westside on the northwest and the L.A. downtown area on the Northeast. The neighborhood boasts L.A.’s Koreatown as well as the historic Miracle Mile District. It is also home to the L.A. County Museum of Art, the Peterson Automotive Museum, the George C. Page Museum and the CBS Television City. 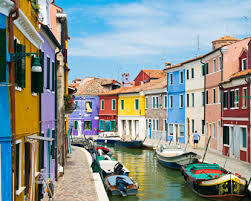 Venice is known for its iconic canals- replicas of those located in Venice, Italy- and the eclectic Venice Beach. Venice Beach is home to the famous boardwalk, recreation and sports courts and countless performers, artists and vendors lining its sunny beaches. The famous muscle beach where people come to workout is located in Venice. 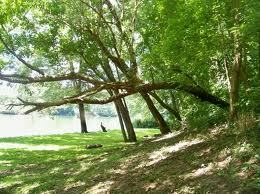 This is a great place to come and enjoy the day. Many iconic cities and landmarks exist nearby Los Angeles but outside its municipal borders. Beverly Hills is renowned for its upscale shops along Rodeo Drive and stunning mansions. Santa Monica is home to the iconic Santa Monica Pier with its many rides and shops. You would see the end sign for the legendary Route 66. Long Beach and Pasadena are two historic cities packed with top notch restaurants, shops, galleries and boutiques. just to soak up the sun, there’s always something to do and something to see. From art museums to theaters, movie studios to sun drenched beaches, it’s little wonder why Los Angeles plays host to millions of visitors every year. I often wonder when Ruskin wrote his great work The Stones of Venice whether he knew where the stones actually came from and how they were transported there. In the sleepy faded spa town of Battaglia Terme not far from Padua lies the key to the building of the great and unique city of Venice. The Euganean Hills around Battaglia Terme is an area of volcanic cones and hot springs, now a national park and an area favored particularly by German tourists for its spa treatments and its wines. But at some point a thousand or more years ago it must have been discovered that the volcanic stone quarried there provided the perfect paving stones for the passages and alleyways of Venice, having a rough texture which prevented slipping, an important factor in a city based on water. Canals provided the easiest means of transport to ship these stones from Battaglia Terme to Venice and in consequence a network of navigation systems sprang up and remained in use until the mid 20th century. The Battaglia Canal was constructed between 1189 and 1201, preceding by several centuries the canals of the English Industrial Revolution. They were often built at ground level with walls and banks to contain them, rather than dug out in trenches as ours were. The Museum of River Navigation in Battaglia Terme has been the life’s work (or at least the past 30 years) of the Battaglia Canal’s last bargeman, the visionary Riccardo Cappellozza. He tells the story of how he was chatting to his friend the local librarian about his work as a barge man now that he was about to retire. They both realized that a whole language was about to disappear. Riccardo supplied the nouns for the tools and equipment, the verbs for the movement of cargo and business of sailing, and the stories about life on the barges, or burci as they are known locally. From that small beginning, he began to collect the abandoned materials of his trade from whole boats to tiny hooks. The collection grew. Space was needed. Not everyone recognized the importance of all these objects, but some enlightened fellow citizens offered him the former abbatoir to house the still-growing collection. The SS16 Padua-Ferrara road follows the Battaglia Canal, and the entrance to the little town is across a modern bridge where various boats have been pulled up onto dry land, one eerily with a life-like figure keeping an eye on the traffic. This is the furthest outpost of the museum’s collection, next to boat sheds where the canal widens to permit barges to be stored and brought out for the town’s festive occasions, for rides to Catajo Castle and back for one euro. The museum itself is tucked away behind the main road, but could hardly be missed with its assortment of anchors, mooring posts, buoys etc arranged in front of the entrance. To enter the museum is to time-travel to a gentler age of beautiful hand crafted tools and a slower pace of life. There are, for example, several examples of the hand-carved forcole, receptacles for the oars made out of the hardest walnut, and beautiful pieces of sculpture in their own right. The last master carver still lives in retirement in a nearby village, and still occasionally makes new forcole in their traditional form, but these days from polished cherry wood. The museum’s top floor gives the illusion that you’re on a large barge. A ship’s steering wheel with brass machinery faces directly onto the canal in front of a floor-length window, and all around are ropes, handling gear, oars and panniers. Signor Cappellozza has a great party trick with the ropes, one which he usually does for visiting school parties. With practiced skill he quickly plaits and twists 20 foot lengths into knots and invites the children to undo them. When they don’t succeed, he steps in and with a couple of deft flicks the ropes are straightened once more. The freight boats were either wind-propelled, pulled by horses or pushed along by the boatmen themselves using long oars. On one side of the room the various traditional means of propulsion are shown, and on the other a collection of domestic artifacts gives a picture of life on board. The family lived below deck where they kept wooden trunks for linens, a wood-burning stove for cooking and heating, a moscheto to keep insects away from food, and countless small utensils for every day use. 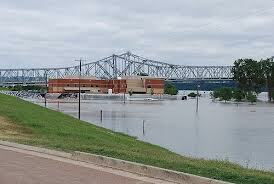 The barge was home, as well as the means for getting to know the outside world which floated by. In it, the barge man passed through the basins and the buta, the flooding created artificially twice a week to compensate for the shallower parts of the navigation system. The museum shows us the whole history of the almost forgotten world of river and lagoon transport, from the squeri, where the flat-bottomed barges were constructed (only one squero still remains in Venice itself, and that was brought back into use by an enthusiastic American), to the art of navigating the inland waterways. he is himself an important exhibit, a vital connection with the artifacts of a way of life which no longer exists. From skiing to Santa, here are some of the most festive places to see and things to do across Europe during December. This magical ski resort with its award-winning architecture forms part of the Portes du Soleil and provides access to over 650 km of ski runs across Switzerland and France. Other snow activities include glacier-walking, husky-sledding and heli-skiing. A horse drawn carriage offers transport around this pedestrianised village where Christmas markets, with over 100 stalls, are open on 12th – 13th December. From the 19th December, torch lit processions, shows and events culminate in a spectacular firework display on Christmas Eve. There are over 20 restaurants in Avoriaz but visitors should head to La Table du Marché at the Hôtel des Dromonts for gourmet cuisine by an award-winning chef. Over 50 Christmas markets run throughout the capital until 28th December; Gedächtniskirche, Unter den Linden and Alexanderplatz are the biggest. Other highlights this year include a toboggan run in the middle of the city, Chinese ice sculptures and a Christmas circus. For relaxation, visit the Badeschiff sauna and heated pool which overlooks on the River Spree. The Twelve Days of Christmas Market runs from 10th-23rd December on George’s Dock. For fashionistas, the Cow’s Lane Market in Temple Bar is the largest designer market in the city. A traditional nativity scene with live animals can be found outside Mansion House on Dawson Street and the Christmas decorations at Brown Thomas are also worth a look. There is no respite in Edinburgh prior to New Year revellers descending on the city for Hogmanay on 29th December. There is also something for everyone over the Christmas break. The Edinburgh Wheel on East Prince Street provides the best views, overlooking the traditional German market, Highland Market, the new Sparkles Snow Globe in Santa’s Gardens and one of Europe’s largest outdoor ice rinks. There is also the Ethical Market and Farmer’s Markets. Adrenaline junkies should head to the Bungy Snowdome while kids can head to the Children’s Christmas Corner and Christmas Fair, complete with a carousel and helter-skelter. If visiting Santa on home turf or meeting his elves isn’t enough to fuel the festive mood, there are plenty of other snow-centered activities such as reindeer or husky sleigh rides, snowmobiling, skiing and skidoo rides. Decorations at the department stores alone are spectacular during December. The Harrods Christmas Grotto is already booked up but Christmas World on the second floor is celebrating the anniversary of the Wizard of Oz this year. For vintage and more unique gifts and decorations, Christmas markets can be found across the city. Festive food markets are open at Borough Market, Covent Garden or the Cologne Christmas Market, which runs from the Southbank Centre to the London Eye. Most markets are open until 23rd December. Stunning outdoor ice-rinks include Somerset House, Hampton Court, Tower of London and the Natural History Museum. For a real treat, take afternoon tea at one of London’s plushest hotels such as Claridges, The Ritz and or Brown’s. Prices start from £37 per person. For a cheaper alternative, head to the Christmas tree in Trafalgar Square and enjoy one of the free carol concerts which take place between 5pm-9pm until 20th December. Plaza Mayor hosts the main Christmas market every year although Christmas lights can also be enjoyed on the Gran Via, c/Goya and c/Ortega y Gasset. Outdoor ice rinks are located outside the Santiago Bernabeu Stadium or in Retiro Park. The latter transforms into a Children’s Christmas World from 23rd December to 3rd January. Every year, over half a million visitors take to the streets for The Procession of the Three Kings which features thirty carriages, brimming with sweets, making their way from the Park to the Plaza Mayor. 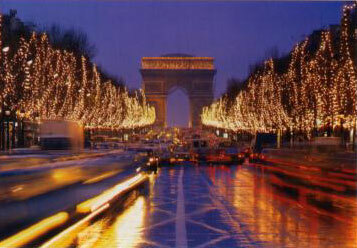 A walk along the tree-lined Champs-Elysees and a visit to Musee du Louvre is a must. The Christmas tree is outside Notre Dame and an outdoor ice skating rink is open at the City Hall. A number of Christmas markets are scattered across the city. Other than the Eiffel Tower, the department stores Printemps and Galleries Lafayette have some of the best Christmas lights. The Russian Christmas Circus is also in town. The main markets in the Old Town Square and Wenceslas Square are open until 23rd December. Smaller ones at Havelske Trziste and Namesti Republiky are within a ten minute walk. The Christmas tree is erected in the Old Town Square where choirs and international music provide the entertainment. With less tourists and drier weather than autumn, winter is the perfect time to visit Venice. Christmas markets are held in the Campo Santi Apostoli, Campo San Luca, Campo San Salvador and Campo San Polo while Christmas on the Lagoon, which sees the Piazza San Marco transformed into a festive village, is filled with typical Venetian products. Restaurants may be hard to find on Christmas Day but most hotels are open to the public. Alternatively, the original Harry’s Bar and Locanda Cipriani on the Island of Torcello are expensive but memorable alternatives.